Terramac expands its representation in the North American market with Kirby-Smith’s Texas territory. 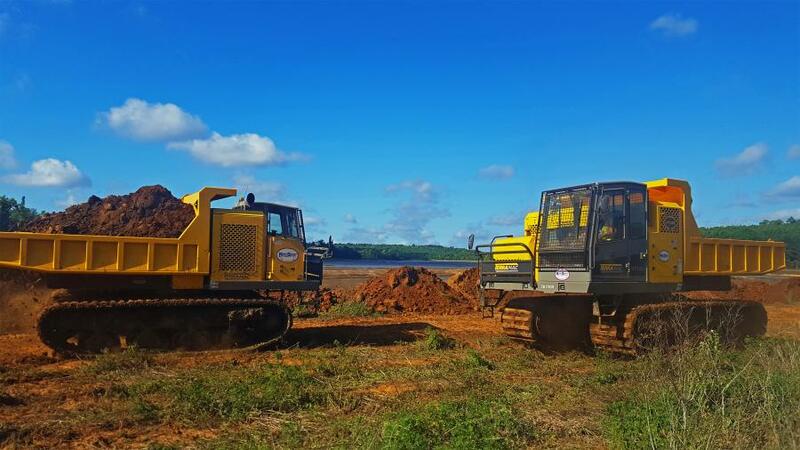 Terramac, a leading manufacturer of innovative rubber track crawler carriers, grows its representation in North America with Kirby-Smith's Texas operations. Kirby-Smith specializes in offering Terramac crawler carriers to serve the pipeline industry and has also expanded into the general construction industry. Kirby-Smith plans to continue identifying and expanding into other markets and is eager to increase the reach of their Terramac fleet with the new Texas territory. Kirby-Smith is well versed with the Terramac product line and has extensive knowledge of crawler carrier usage and the many customization options for various applications. Along with the standard Terramac RT6, RT9, RT14, and RT14R units, Kirby-Smith also offers industry-specific attachment rentals such as tac welders, hydroseeding units and personnel carriers. Kirby-Smith Machinery, Inc. is a leading distributor of heavy construction equipment, industrial equipment and cranes. Kirby-Smith serves the construction, paving, industrial, aggregate, pipeline/oilfield service, and various other industries with 10 full-service locations. For more information, visit Terramac.com or call 630-365-4800.